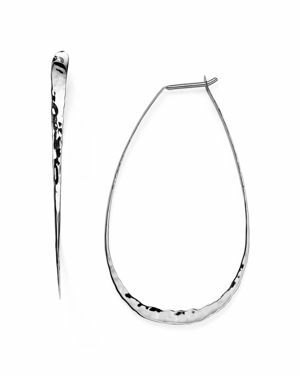 AQUA - Desi Hammered Threader Earrings - 100% Exclusive Minimalists take note: Aqua's razor-thin earrings add an understated dose of shine to any look.
. - Hammered Heart with Fancy Chain - Gold Hand hammered to create texture and shine this 14k gf Heart Necklace will become your favorite go-to piece all year long. 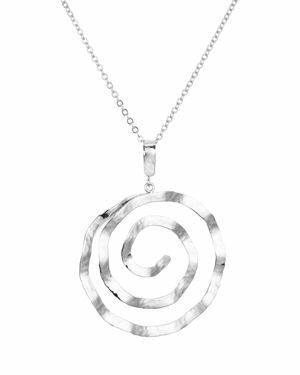 With its fancy oval gunmetal chain you'll wear this Heart with everything. Low Luv x Erin Wasson - Hammered Ring in Silver Antique hammered silver plated statement ring. 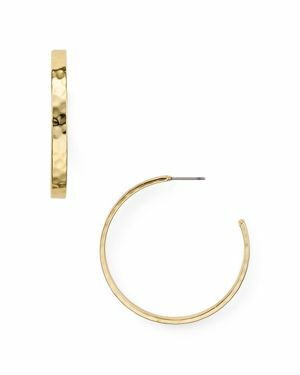 Low Luv x Erin Wasson - Hammered Ring in Gold Antique hammered gold plated statement ring.
. - Silver Seychelle Necklace with Blue A large briolette drop of blue chalcedony is surrounded by a sterling silver hammered teardrop. 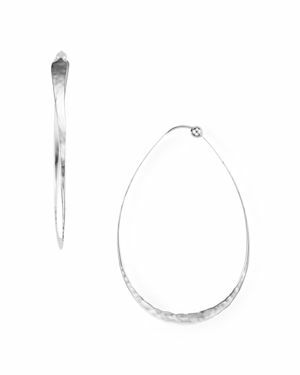 Sensual and dramatic the Seychelle necklace is a stunning statement piece. 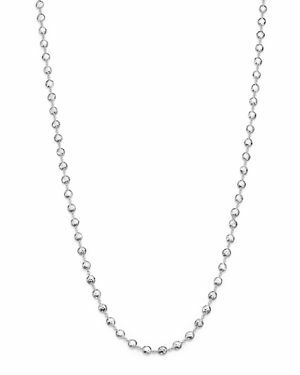 Gorjana - Laguna Adjustable Beaded Necklace, 18.75 Bring a touch of scintillation to your neckline with Gorjana's oh-so-delicate lariat necklace. Dainty beads and hammered pendants elevate this bohemian style.
. - Gold Seychelle Necklace with Green Onyx A large drop of beautiful green onyx is surrounded by a 14k gf hammered teardrop. Sensual and dramatic the Seychelle necklace is a stunning statement piece.
. - Gold Seychelle Necklace with Lemonade Citrine A large drop of lemonade citrine is surrounded by a 14k gf hammered teardrop. 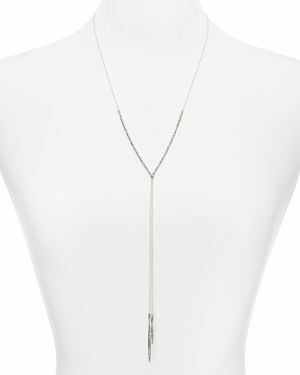 Sensual and dramatic the Seychelle necklace is a stunning statement piece. 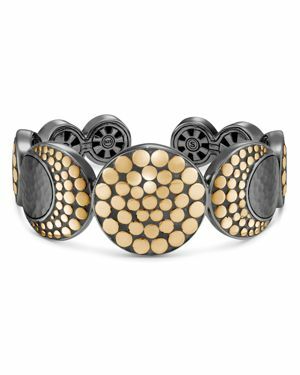 RichRocks - Set of Three Hammered Elastic Bracelets in 2 Color Set of three polished hammered bracelet strung on elasticized cords. 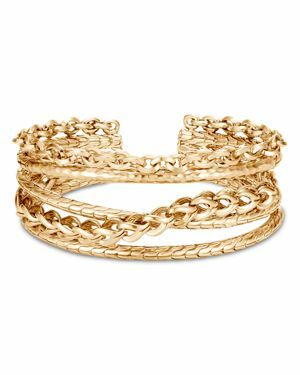 Fits all wrists and great for stacking. 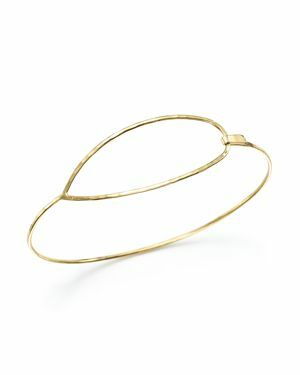 Low Luv x Erin Wasson - Evil Eye Cuff in Gold Hammered gold cuff bracelet featuring evil eye pyramid detail. 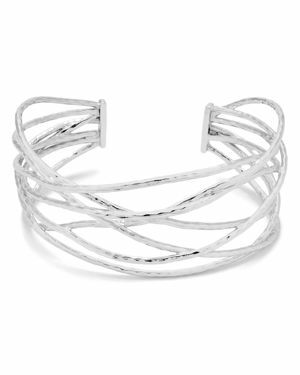 Low Luv x Erin Wasson - Evil Eye Cuff in Palladium Hammered silver cuff bracelet featuring evil eye pyramid detail. 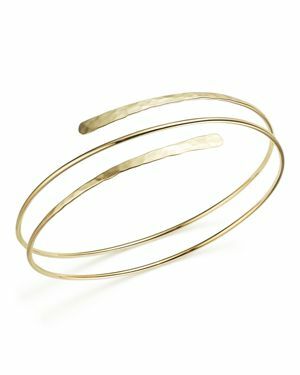 Gorjana - Lola Crisscross Wire Cuff sculpts a delicate textured accent for your off-duty threads designed with intertwining strands of hammered metal. 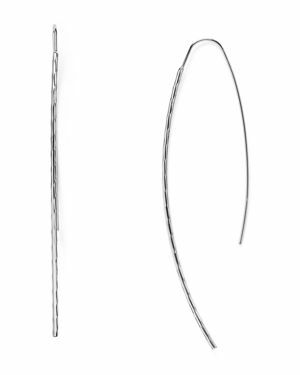 Bloomingdales - Sterling Silver Pear Hoop Earrings - 100% Exclusiv Swoops of hammered detail shine in these trend-right statement earrings. 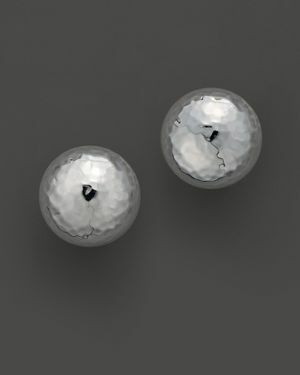 Pair them with an off-the-shoulder top for an of-the-moment look. 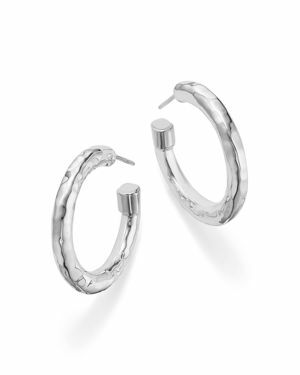 Ippolita - Sterling Silver Glamazon Hoop Earrings s coveted and classic hoop earrings gleam with richly hammered detail in sterling silver. 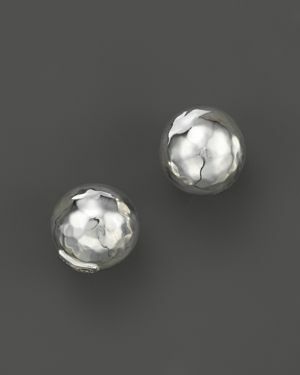 Ippolita - Sterling Silver Pinball Earrings From the Silver collection hammered pinball studs. 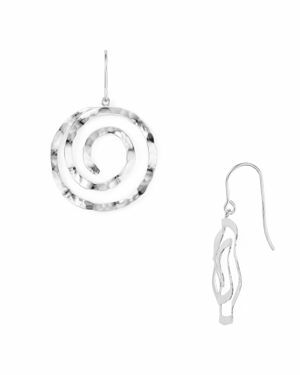 Designed by Ippolita. 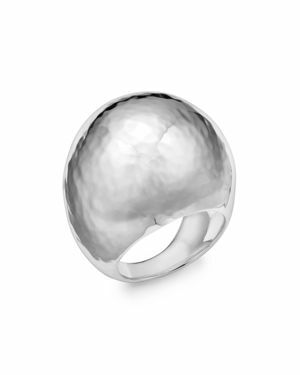 Ippolita - Sterling Silver Large Hammered Dome Ring From the Silver collection large hammered dome ring in sterling silver. 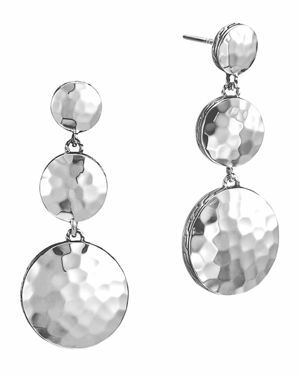 Designed by Ippolita. 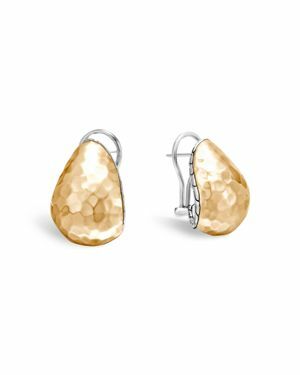 Bloomingdales - Sterling Silver Hammered Cushion Drop Earrings - 1 Make a metallic statement with these modern drop earrings. 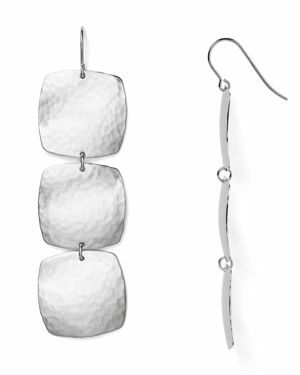 John Hardy - Palu Sterling Silver Triple Drop Linear Earrings Dimensional drop earrings in polished sterling silver with a hammered texture by John Hardy. 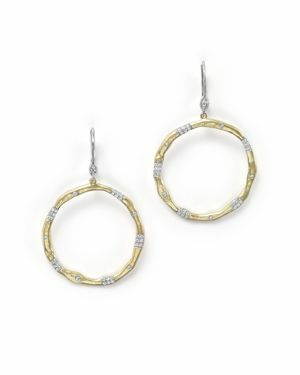 John Hardy - Sterling Silver and 18K Yellow Gold Classic Chain The curvaceous Buddha belly shape with a hammered finish in a glowing design by John Hardy. 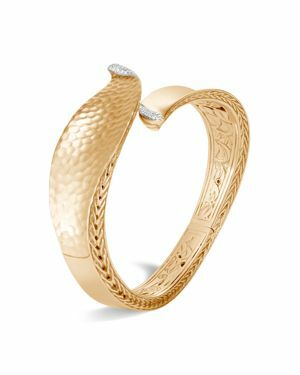 Bloomingdales - 14K Yellow Gold Hammered Bangle - 100% Exclusive This delicate bangle offers an airy openwork design rendered in hammered 14K yellow gold. 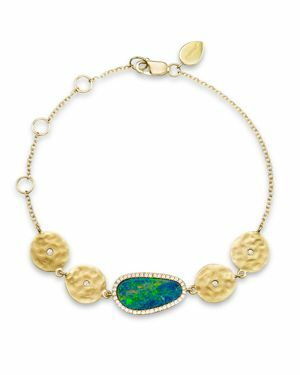 Meira T - 14K Yellow Gold Opal Disc Bracelet with Diamonds Blue opal and pave diamonds are paired with hammered 14K yellow gold discs in this unique bracelet by Meira T.
Meira T - 14K Gold and Diamond Open Circle Earrings Diamond stations adorn 14K yellow gold hammered hoops on Meira T's sculptural drop earrings.